[post_content] => Dr Nikunj Trivedi will explain the development of his treatment protocols, a personalised method of homeopathic treatment, at a Society workshop at York St John University on 18 May. Applying contemporary medical tests and related examinations to abnormal pathology, Dr Nikunj’s prescriptions are tailored to each patient and backed by clinical investigations. 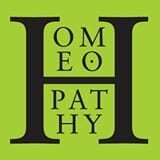 “I believe that it is becoming more important to have a broad understanding of many key aspects of conventional medicine to become a safe and effective homeopathy practitioner,” says Dr Nikunj. A homeopath for nearly 40 years, Nikunj Trivedi runs the Arti Clinic in Leicester. 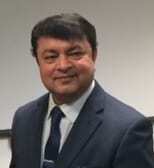 Dr Nikunj Trivedi will explain the development of his treatment protocols, a personalised method of homeopathic treatment, at a Society workshop at York St John University on 18 May.